HENDGO Solar camping lights, ultra-bright portable outdoor tent lights, suitable for outdoor camping power outage emergency 60LED two-speed function built-in 800 lithium battery can USB charging. 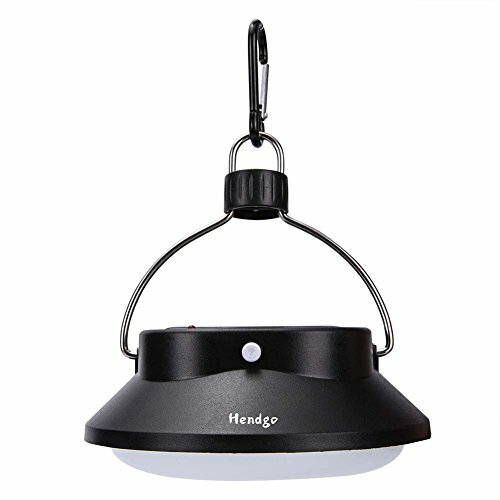 HENDGO solar camping lamp is one of the best sellers in the LED outdoor camping lamp market with reliable quality, this is an innovative tent light generation base with 28 patch LDE, light stronger, better light fastness, reasonable price. It is equipped with lithium battery options and 2 flexible file function, built-in 800 lithium batteries, solar energy can be USB or charge, which is perfect in itself can be used as multifunctional charging power supply for handheld device, camping, hiking, power outages and emergency vehicles. Performance: the 2 generation of SMD LED super bright 28 LED patch, 2 gear function (light light) can provide a maximum of 280 lumens of light, 50ft radius, can choose USB fast charging port or rechargeable lithium battery using solar energy. The updated solar panels can be charged faster in the sun, durable, long service life. Portable: solid stainless steel elastic buckle, you can hang in any place you like, safe use as long as a few seconds. Suitable for camping, reading, fishing, car repair, hiking, mountaineering or family emergency. Security, stability is your best choice in the dark. An ideal portable camping light, simple, functional and practical, solar energy. 100% satisfaction guarantee - your satisfaction is our guarantee, if you are not satisfied with the light for any reason, let us know that you get your money back, no questions asked! That's how confident we are, you'll love your lantern. You also support 2 year warranty, including accidental damage. If you have any questions about this product by HENDGO, contact us by completing and submitting the form below. If you are looking for a specif part number, please include it with your message.